Build a fantastic new building in your garden, making the most of your land to add useable living space to your home. The choice of how to use your garden room is endless, from the ultimate home office, studio, gym, granny flat, teenagers pad, study or music room. 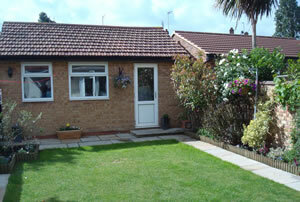 Garden rooms and outbuildings can be built within permitted developement guidelines and can also be fitted with plumbing to add the feature of an extra shower room / toilet to your property and with heating and electricity so that the rooms can be used all year round. Storage areas can be built in to maximise the useable space. If you are growing out of your home, a garden room is the way to progress. Please contact us so that we can visit and discuss your potential new living space.